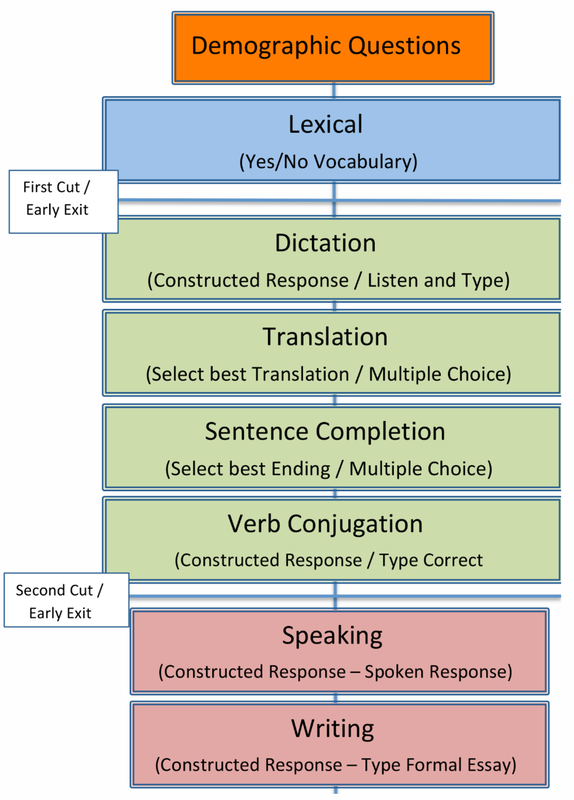 The test-design diagram shows the assessment steps a student will go through to determine their language level. The test begins with a set of demographic questions followed by a Lexical (Vocabulary) section. At this point the student will either exit the test, or with a high enough score, continue on to the Dictation, Translation, Sentence Completion, and Verb Conjugation sections. At this point, the student will either exit the test or, with a high enough score, continue to the last two sections: Speaking and Writing.